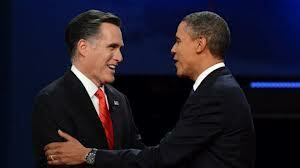 Like many of you, I have been watching the presidential and vice-presidential debates. And while I do not wish to enter into a policy discussion, I do wish to highlight a long-popular technique of all politicians regardless of party affiliation: the irrelevant anecdote. It works something like this: You are asked a direct question that requires only a succinct, direct answer but decide that your campaign would be best served by ambiguity disguised as a folksy narrative meant to ingratiate you with “everyday people”. While the particulars vary, the overall structure is universal and usually begins with the phrase “just the other day….” This phrase, meant to slyly assign topical urgency, is followed by the details of a “chance encounter” with a middle-class citizen whose plight is meant to be representative of the voting populace’s frustration as a whole. For extra effect, contact with this disenfranchised tax-payer should mimic the Messianic tones we have come to expect from New Testament narratives of miraculous healings by having the person “touch the candidate’s garment” or “grab their hand” as if their very epidermis radiated justice and pragmatism. Once contact has been made, the candidate is exposed to some variation of Princess Leia’s soliloquy from Star Wars (help me senator, you are my only hope) at which point the weary campaigner becomes re-inspired in their quest. This reply is as inspiring as it is elusive since it cannot be fact-checked but makes the candidate appear to be more “in-touch” with their demographic. I have often envied the acceptability of such answers in politics since enigmatic answers do not seem to be tolerated elsewhere. For instance, can you imagine a conversation with your physician that transpired in this manner?